Zero Energy Two is a major step forward in sustainable housing. This revolutionary design features zero net energy use, extremely low 'near zero' embodied energy and extremely low cost. This design is the result of years of research in energy efficiency and low cost, alternative building methods. 1,275 sq. 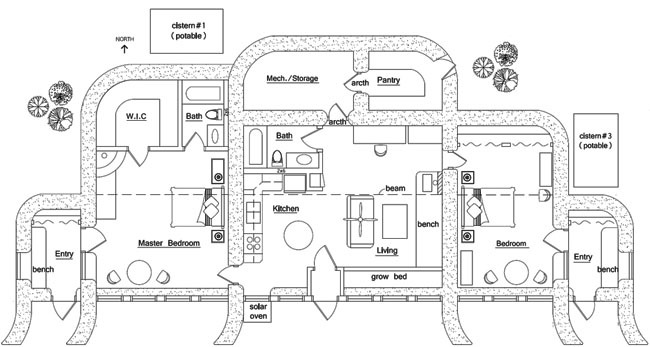 ft. interior, 2 bedroom, 2 bath; footprint: 36' x 73' not including cisterns.